Legends aren't born. They're built. This legend, the Chris Craft Launch 23 is crafted not from iron and sweat, but from passion for perfection. It is the pedigree of a champion, a legacy of boats that were built to last - and still stand the test of time today. When you are in a Chris Craft, you are riding a legend. With a range of models available, there is a Chris Craft suitable for every boater. From 21' Capri and Carina series to 38' Launch series - you will find consistency in quality and impeccable finishes, and never mistake these boats for anything else. 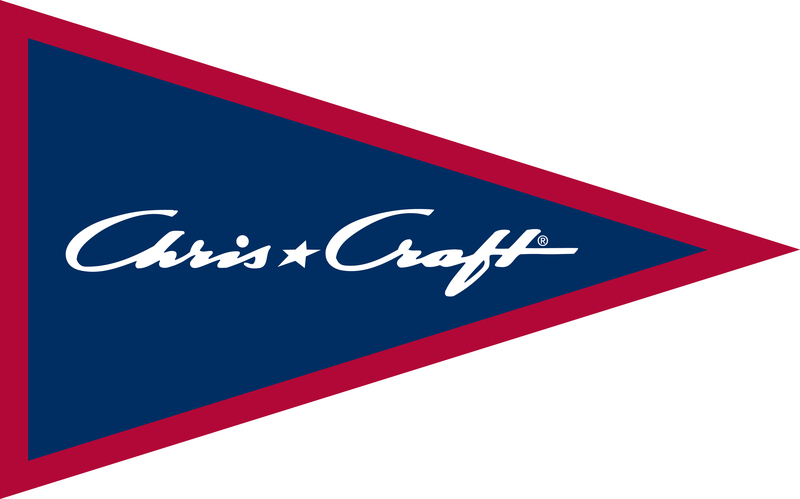 Do you recognize the Chris Craft burgee flag? It features the original design and colours from 1874.